Nanotex® DRY INSIDE, a collaboration between Nanotex and Cotton Incorporated, brings comfortable cotton to the athleisurewear market. 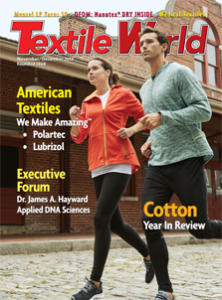 Textiles 2017: Will Manufacturing Thrive? Polartec Collaborates With Teton Bros.